Blackbrook Audubon is selling raffle tickets to support the purchase of Audubon Adventures, a conservation publication for third to fifth grade students in Geauga and Lake Counties. 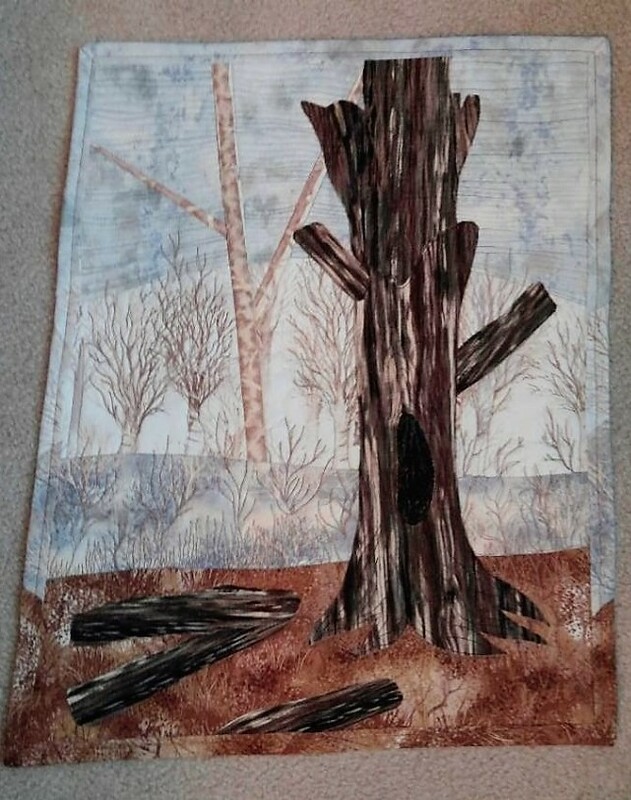 The raffle prize is a 15″x19″ quilted wall hanging of an iconic Red Oak at Gully Brook Park in Willoughby. The tree is over 200 years old. Despite having a massive hole, the oak continues to leaf out and produce acorns. The wall hanging was made and donated by a local artist. Tickets cost $5 each and can be purchased at Blackbrook’s field trip to Sandy Ridge Saturday, April 13th or at the program meeting 7:00 p.m. on April 16th at Penitentiary Glen. Visit Blackbrook Audubon Society or Blackbrook Audubon Society’s Facebook page for details on these venues or email blackbrookaud@aol.com to arrange purchase of tickets. The drawing will be held Sunday morning, May 19th at Blackbrook’s annual Big Sit at Headlands Dunes State Nature Preserve. Winner need not be present to win. Students in Geauga Park District’s Nature Scopes program receive Audubon Adventures. Check Audubon Adventures for more information on the environmental education curriculum that comes in classroom kits and offers correlations to National Language Arts and Science Standards.